Hello! I have very a lot of news for you! So I am going to tell you that I have holidays at school!!! And I will go by car to Tallin and Riga. Tomorrow I will go to a fashion show Valentin Yudashkin's! Today I made a look for cold spring. 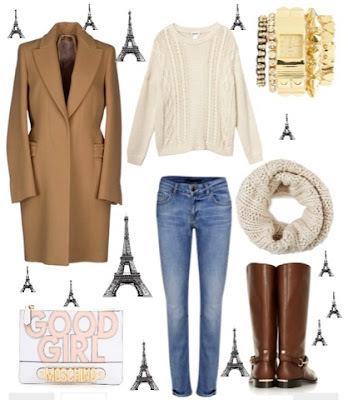 Warm sweater, coat, jeans, boots, and knitted scarf!! I like knitted scarfs because I think they look very cute, what do you agree? (you can write in response to the comments) Good buy my friends!